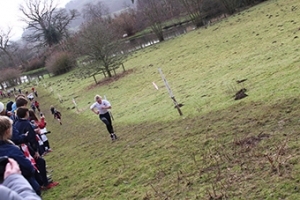 One thousand young athletes donned their running shoes for the Midlands Independent Schools Association Cross Country Championships at Bedstone on Wednesday 6th February. Bedstone College was proud to host the prestigious competition with more than 30 schools competing from across the region. Students competed in age based categories, those under 10 years old ran a 1500 metre race, distances increased for older competitors, with senior boys running the longest distance of 6000 metres. The event is a prelude to the National competition at Rugby School where the top ten runners from each region will compete. All competitors ran on both hard and soft terrains, making the course a great learning and strengthening experience for any future athletes. They all gained experience running in woods, fields and through stream crossings. Bedstone College student Agnes A came first in the under 9 girls race and Bedstone student Sam W came first in the boys under 11 race. Will W placed third in the under 13 boys. Bedstone teams also performed brilliantly with the under 9 and under 15 girls teams placing first and both the boys and girls under 13 teams placing third. Boys and girls under 18 teams both placed second. These placings are very impressive, especially considering the size of the competition this year. Schools from across the Midlands competed in this fantastic event and all the young athletes can be very proud of themselves for navigating a tough race on a challenging course.